The marijuana momo (momentum) crowd was excited about PepsiCo reporting its earnings and perhaps giving hints about entering a new market. But then they got burned. Why? My purpose of writing this column is to help marijuana investors avoid this kind of mistake. Let’s start by exploring with the help of two charts. 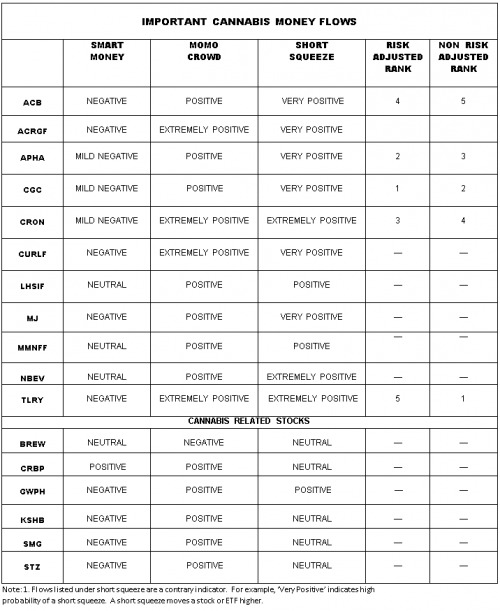 Please click here for an annotated chart of New Age Beverages NBEV. 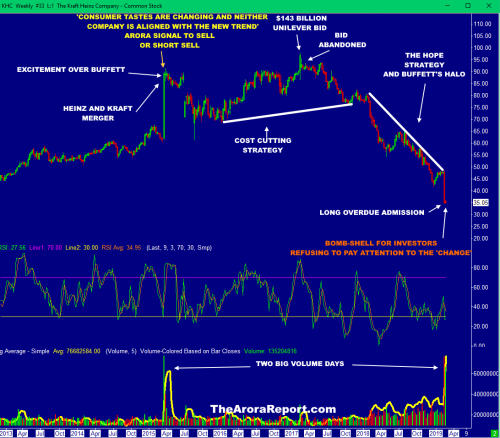 Please click here for the annotated chart of India Globalization Capital IGC. • Both of those stocks were running on speculation that Pepsi would make an announcement about investing in marijuana drinks. Previously Coca-Cola KO had indicated it was interested in cannabis drinks. Constellation Brands STZ, the brewer of Corona Beer, has made a major investment in Canopy Growth CGC. Popular marijuana companies such as Tilray TLRY and Cronos CRON are believed to be looking for partners for marijuana drinks. 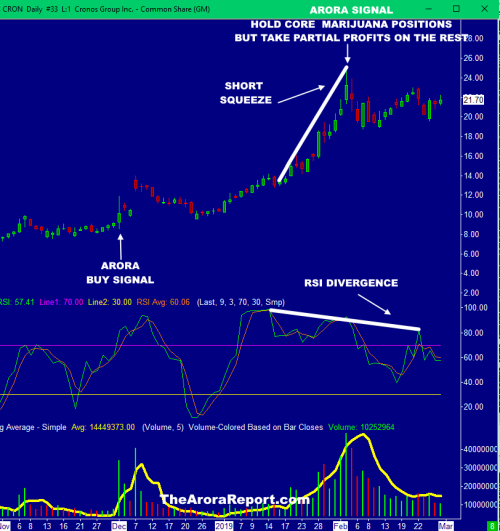 • Marijuana stocks ran further as the momo crowd bought even more aggressively on headlines that Pepsi was looking at the marijuana space. 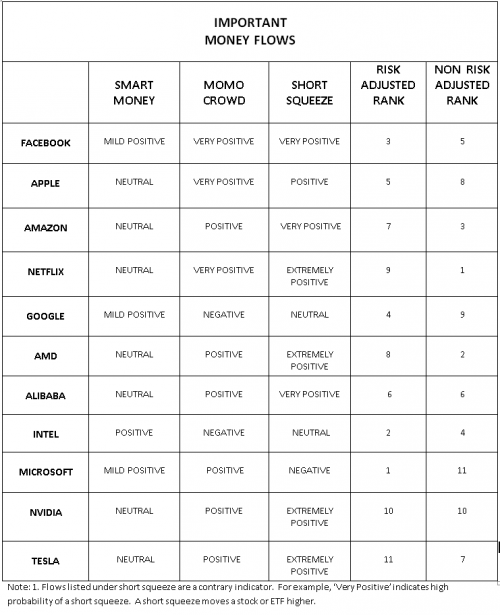 Some of the headlines appear to be misleading, but the momo crowd is not known for digging and deep analysis. • The reality appears to be that Pepsi is not about to make an investment in the marijuana space. The smart money (professional investors) quickly caught on and sold into the strength. • The momo crowd continued to buy at higher prices but was not able to overcome the selling by the smart money. That caused marijuana stocks to fall and the marijuana momo crowd to lose money. 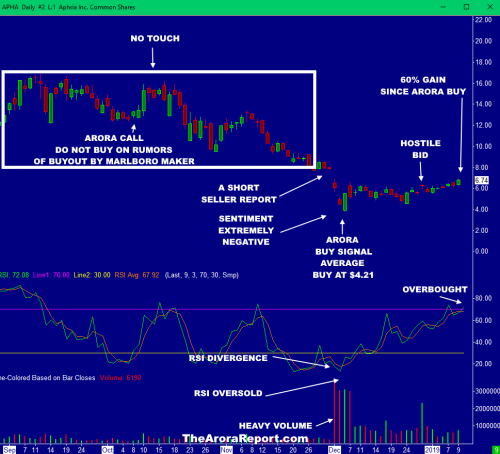 • The chart of New Age Beverage shows the Arora signal to sell the stock into the strength. The stock subsequently fell. • India Globalization Capital stock ran further. 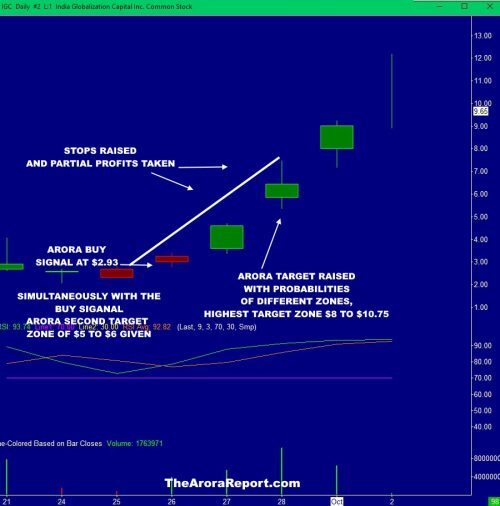 The Arora Report gave a signal to short-sell the stock when it was trading at $13.60 for those who could borrow the stock. 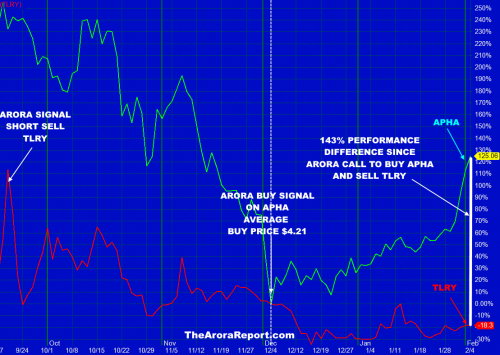 That also implied a sell signal on the stock. The stock subsequently fell over 45%. Short-selling is a technique to take advantage of falling prices. The business of predicting is a dangerous one. Markets are difficult and no one can be right all the time. However, it does not take a genius to predict that sooner or later Pepsi will be in the marijuana-drinks business, and so will Coca-Cola. The reason is that the two companies are monsters that have succeeded at adapting to changing consumer tastes. When consumers started shifting away from sugary drinks, they introduced diet drinks, water and “smart” water. More recently when consumers started shifting away from sodas to healthier drinks, both Coke and Pepsi successfully shifted to healthier drinks. 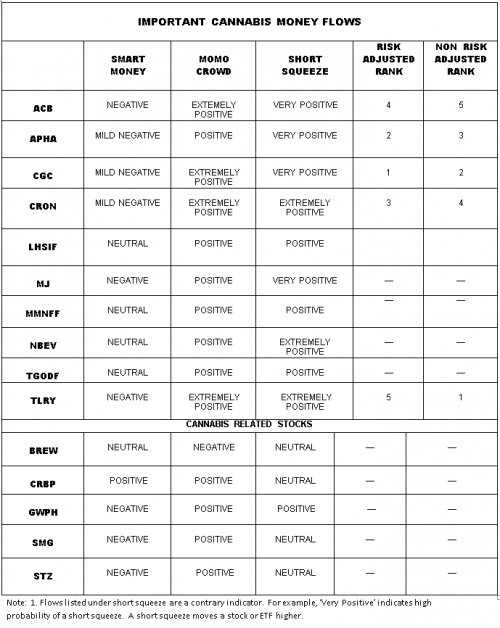 Consumer sentiment is very positive toward marijuana drinks. Coke and Pepsi will enter the cannabis-drinks business when the federal law changes or earlier if they can figure out how to handle the legal issues. This is why I call this prediction the non-genius prediction….Read more at MarketWatch.